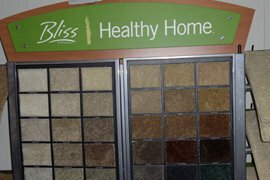 Our experienced sales team allows	Mo-Kan Carpet, Inc.to provide you with a wide variety of flooring styles and products. For	more than 30 years, we have striven to provide the utmost in personalized	service. We understand that you have a vision for your home or business,	and we will provide you with every viable option your project requires. Whether you are looking for aesthetic quality, durability or environmentally	friendly products, we provide a variety of options. Visit our showroom and let us show you why	Mo-Kan Carpet, Inc. should be your only choice. Enjoy the personalized service you deserve. Customer satisfaction is always guaranteed. We are located at 2100 Jefferson	Street. Buy Mo-Kan first!